Ten years ago this month, Oscar, in Ft Worth, TX became a client of Employers Resource. Over the years they have had their ups and downs, but have always prevailed. 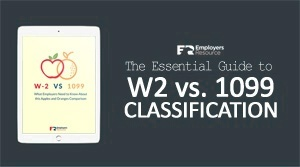 Employers Resource has been a huge part of their business throughout those ten years. Oscar and Patsy Oaxaca have worked hard to overcome all of the hurdles that owning a small business throws at you. One of which is maintaining a safe workplace. I had the privilege of having lunch with Oscar today and I asked him, after being our client for 10 years, what he sees as the biggest benefit of being with a PEO like Employers Resource. Without hesitation he said that it is the ability to pick up the phone and get assistance for whatever that might be from safety to HR and everything in between. He has always believed that payroll was not the main reason they have remained as a client, but the fact there were people on the other end of the phone that could make their lives easier! He is a wonderful client and a proponent of the PEO industry in general, but more specifically, Employers Resource. I have certainly enjoyed working with him over the last 10 years and look for them to be our client for a long time to come. Attached is a picture I took as he proudly stands in front of a wall of safety awards. We appreciate all of our clients like Oscar who choose to build and protect their American Dream. Whether you have a whole wall full of them or just received your first one, we want to say job well done.Here’s to All Safety Award Walls Like This One Out There! These walls represent years of money savings through maintaining a safe workplace. A successful business never comes down to just one thing. It is a collection of small acts of excellence overtime. But safety is certainly an area of excellence worth striving for. What is Worker’s Compensation and How Does it Work? What is OSHA Compliance and Who Needs to Worry about it?